In the world of trampolines, Springfree’s design is absolutely revolutionary. 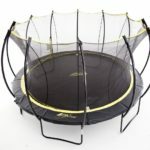 Most people are so used to the idea of the traditional trampoline, where the jump pad is attached to the base by a multitude of springs around its circumference. Springfree took that traditional design and threw it right out the window. Their patented design eliminates this circle of springs, bringing in the resistance from the bottom rather than the sides. 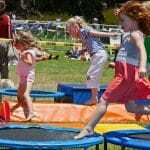 What Makes Springfree Trampolines So Different? 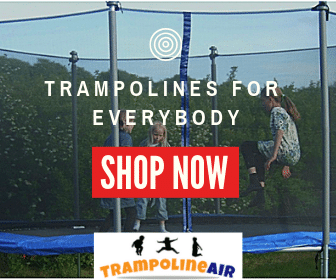 Other than the obvious absence of the springs, there are a lot of reasons why a Springfree trampoline is much different from any other trampoline. The design of the trampoline makes for a smoother bounce, allowing you to bounce has high as you would on a normal trampoline, but without the rebound that affects your joints. The jumping mechanism is located between the jump pad and the frame. 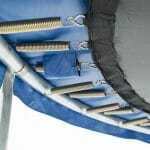 Rather than normal springs, the bounce comes from flexible supports, which are swirled from the base to the pad. As the jumper bounces, these supports flex in and out, lowering with the weight of the rider and bouncing back up as the rider ascends into the air. 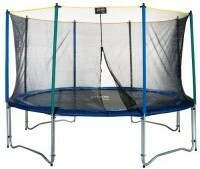 Their trampolines also feature something they refer to as their “SoftEdge” technology. The edges of the trampoline are designed to absorb 30 times more shock than a regular trampoline. Since there are no springs near the jumping surface, Springfree trampolines don’t need a spring pad. There’s also no worry about a jumper colliding with the steel frame, as it’s located beneath the trampoline. The safety enclosure is also different. Rather than having a mechanism supported with steel poles, Springfree uses their own proprietary FlexiNet to catch rebounding bouncers. It eliminates the risk of the bouncer hitting the steel poles, instead providing them with a flexible shield that will knock them back onto the jump pad. Springfree markets their trampolines as being the safest available. 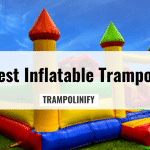 By eliminating the excessive amounts of metal around the jump surface and replacing the springs with a rebounding mechanism, this design has certainly reduced the risk factors that come with other trampolines. Their design has reduced the impact areas that cause up to 90% of trampoline related injuries, a figure that’s too significant to ignore. 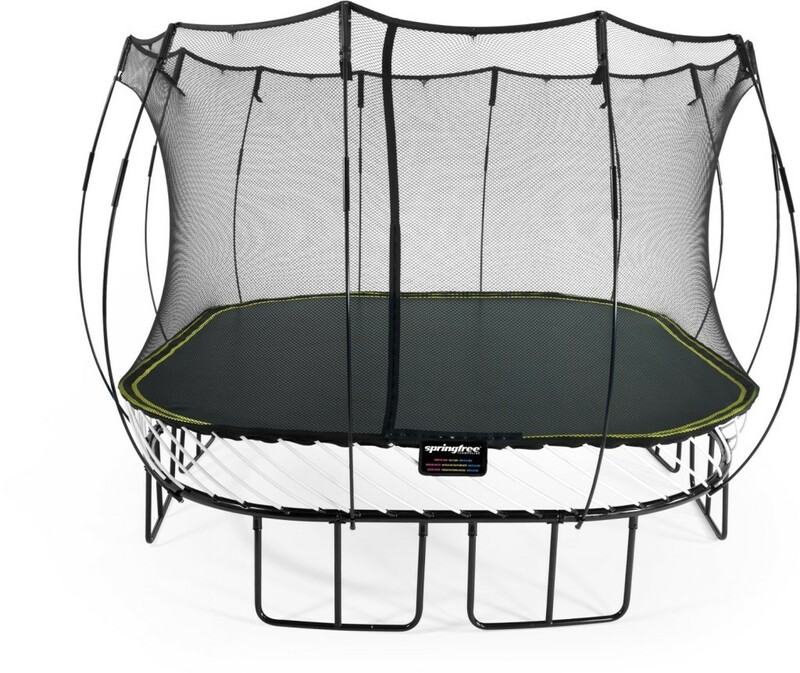 Their trampoline, when used in conjunction with their unique, patented enclosure net, makes for the safest trampolining experience imaginable. 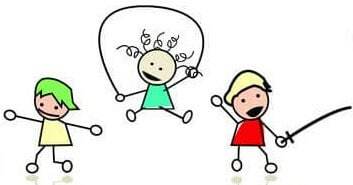 While parents should still supervise their children while they’re using the trampoline, and Springfree’s assembly instructions and recommended safety precautions should still be followed, the design is essentially foolproof. You won’t have to worry about your children’s safety when you select Springfree. 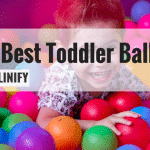 What are the Best Springfree Trampolines? 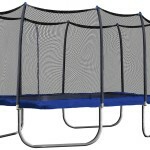 All Springfree trampolines employ the same unique design. 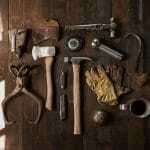 No matter which one you choose, you’re still getting the same quality and safety. The only difference lies in the sizes and shapes of the trampoline. This means your decision only needs to be based on your budget, and the amount of space you have to erect a trampoline in. This model features a 13 by 13 foot mat with a 155 square foot surface area. It sits 3.3 feet above the ground. The net ascends 6 feet above the mat. 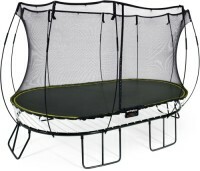 The total height of this trampoline is 9.3 feet, and the maximum jumper weight is 220 pounds. It requires a 21 by 21 foot area for assembly. This model features an 8 by 13 foot mat with a 92 square foot surface area. It sits 3 feet above the ground. The net ascends 6 feet above the mat. The total height of this trampoline is 9 feet, and the maximum jumper weight is 220 pounds. It requires 16 by 21 foot area for assembly. This model features a 10 foot mat with a 79 square foot surface area. It sits 3 feet above the ground. The net ascends 6 feet above the mat. The total height of this trampoline is 9 feet, and the maximum jumper weight is 220 pounds. 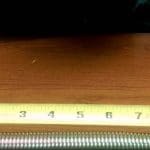 It requires a 9 foot circumferential area for assembly. This model features a 11 by 11 foot mat with a 113 square foot surface area. It sits 3.3 feet above the ground. The net ascends 6 feet above the mat. 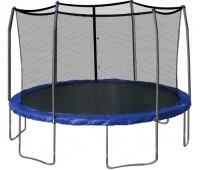 The total height of this trampoline is 9.3 feet, and the maximum jumper weight is 220 pounds. It requires a 19 by 19 foot area for assembly. This model features a 8 by 11 foot mat with a 77 square foot surface area. It sits 3 feet above the ground. The net ascends 6 feet above the mat. The total height of this trampoline is 9 feet, and the maximum jumper weight is 220 pounds. It requires a 16 by 19 foot area for assembly.